the Mets top minor league prospects. I will start this article by talking about Brad Holt. 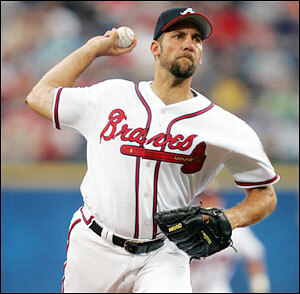 Brad Holt was taken in the first round in the 2008 draft for compensation of losing Tom Glavine to the Atlanta Braves. Since he has been drafted he has done nothing but impress. In 2008 in his first year out of college he put up a fantastic season going 5-3 with a 1.87 ERA and averaging 11.9 K’s per 9 innings. After getting promoted to St. Lucie last year he kept up the pace from last year on an offensive deprived team going 4-1 with a 3.12 ERA but struggled a little bit with injuries when he got promoted to the Mets AA team in Binghamton. There is no question that he has great stuff the only question is will he be a late innings reliever or a solid starter. In a couple of years I can see this situation turning into much like the Joba Chamberlain situation. I think he will start in AA and recover from his season plaguing injuries last year and put up some solid numbers. Some where in July I think he will get promoted to Buffalo and will end the season with a Spetember callup pitching out of the bullpen and spot starter. see Jeff Francoeur having a huge year next year in his first season as a New York Met. For some reason I have a feeling that he will be a Met for a long time along with Jason Bay and Carlos Beltran. I get the feeling that the organization likes Jeff Francoeur and the grittiness he brings to this team. Whenever I watch him play he is smiling he has quickly developed into one of my and from what I understand, most Mets fans favorite players. He had some pretty great numbers with the Mets for only about 70 games. During his 72 games of patroling Right Field for the Mets he hit .311, 10 HRs with 41 RBIS which translates to about 23 HRs and 92 RBIs if he can keep up the production he had on the Mets he will be a very great addition to our favorite ballteam. Also from what I saw he was a great addition to the Clubhouse. He was a guy that the reporters went to besides David Wright and somebody David Wright seemed friendly with which hasn’t happened since 2006 with Cliff Floyd and Paul LoDuca. I think Jeff Francoeur is a great influence on David Wright and the rest of the ballteam with his infectious gritty personality. Well first off I wouldn’t use the word investigation about 14 ( yes I did count) times in one conference and in the same conference saying Adam Rubin ” Has lobby for front office”. In all seriousness I believe that the New York Mets are one offseason away from a title. They have a very talented core of players with homegrown players like Wright and Reyes and some great acquired talent in Santana, Beltran and the newly introduced Jason Bay. They also have some players who are what every great team needs some very good, not great complimentary players like Jeff Francoeur and Luis Castillo (even though he dropped the pop-up). I believe that by the end of the offseason they will add 4 more solid complementary players in Joel Pinero, Bronson Arroyo, Carlos Delgado and John Smoltz ( just to stick it to the Braves). For this season i predict somewhere around 85-94 wins very solid but not eyepopping. I expect a MONSTER season for the Mets in the year 2011. I think the Mets annual big signing for the year 2011 will be Matt Cain. Hate him or not the kid has nasty stuff. I seriously doubt the Giants will have money to retain him considering all of the money Zito is still due and Lincecum will be making in arbitration. With the Yankees with CC and AJ and the Bosox with Beckett ( will most likely resign ) Lester and Dice K I can’t see him going to either of them. I also think the Yankees and Red Sox will both be going after Mauer and Crawford with Mauer going to Beantown and Crawford to the Bronx. If the Mets sign Matt Cain and keep the core of players that they currently have, they could bring something Queens hasn’t seen in 25 years, a ring.